I wound up being very unproductive with my sewing time yesterday, though I think I at least figured out the base crinolette shape for the Fairy Godmother. I took my old Ren Faire hoops, took out the top wire, and decreased the circumference on all the others (particularly the bottom hoop). 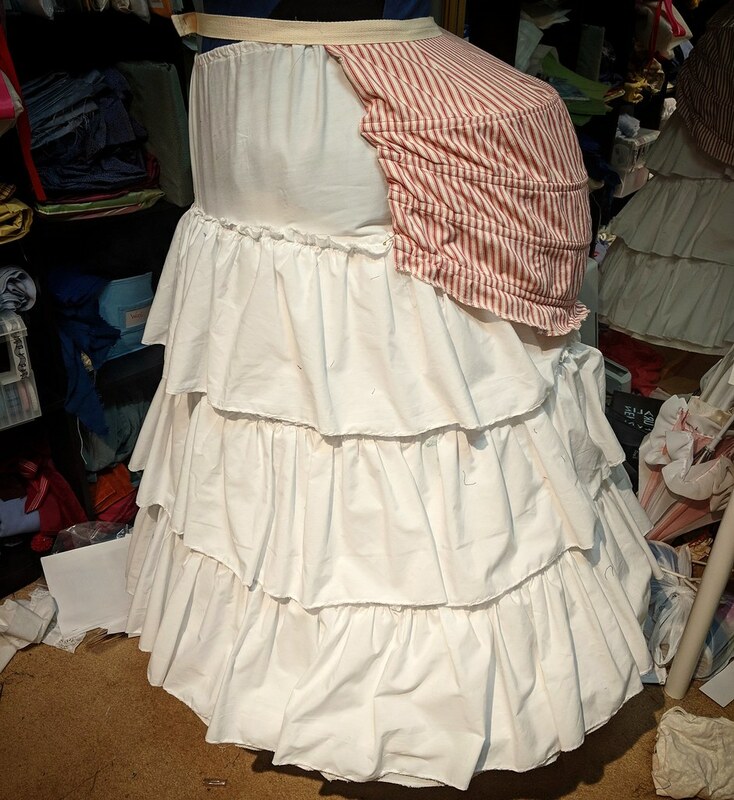 I added my Jane bustle on top, and pinned the hoops to the bustle in the CB and sides, so that it lifts up the back of the hoops just slightly, making it a tiny bit more elliptical. I think it works! But now I need to make a new petticoat to go over it, since none of my existing ones are the right shape. And though I felt better yesterday, I'm back to feeling crappy today. Blurgh.